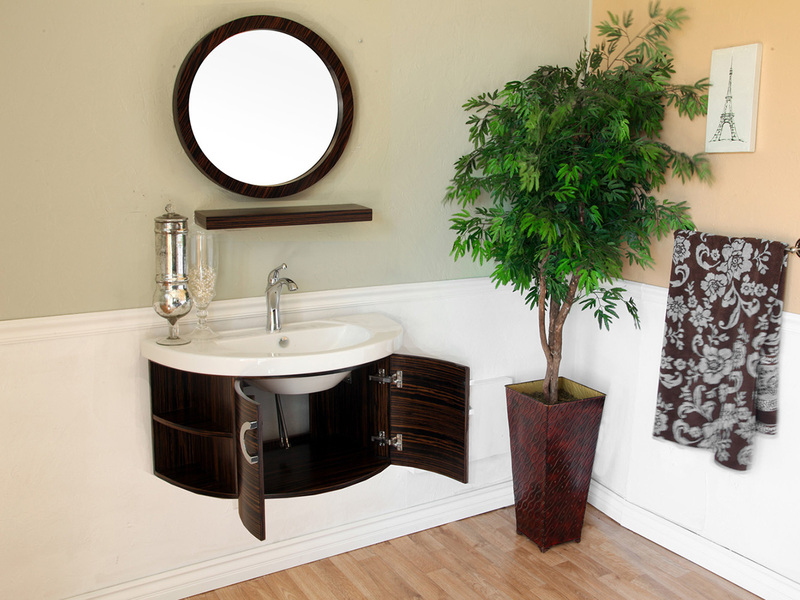 Take your bathroom decor in a fantastic new direction with the Arginio Wall Mounted Vanity and its sleek, minimalist design. 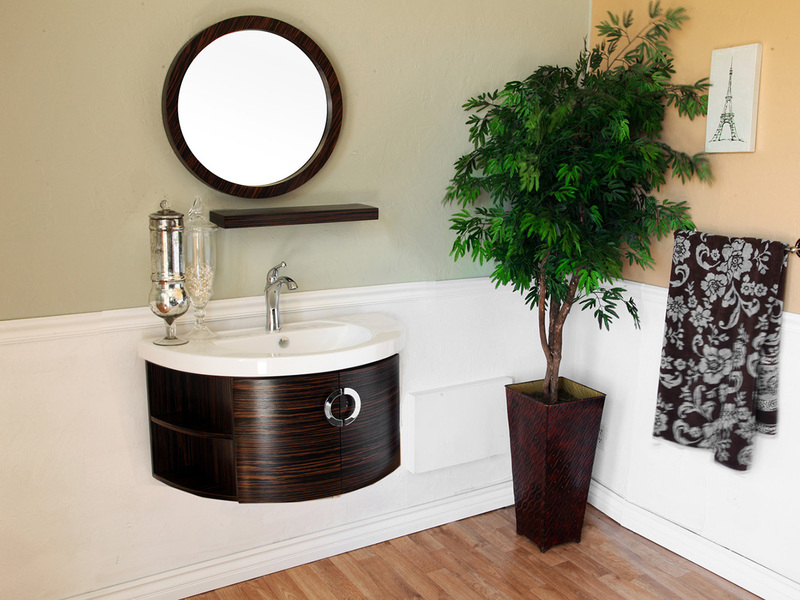 This modern vanity features an ebony zebra finish both on the exterior and interior, with chrome hardware that gives it a very chic look. 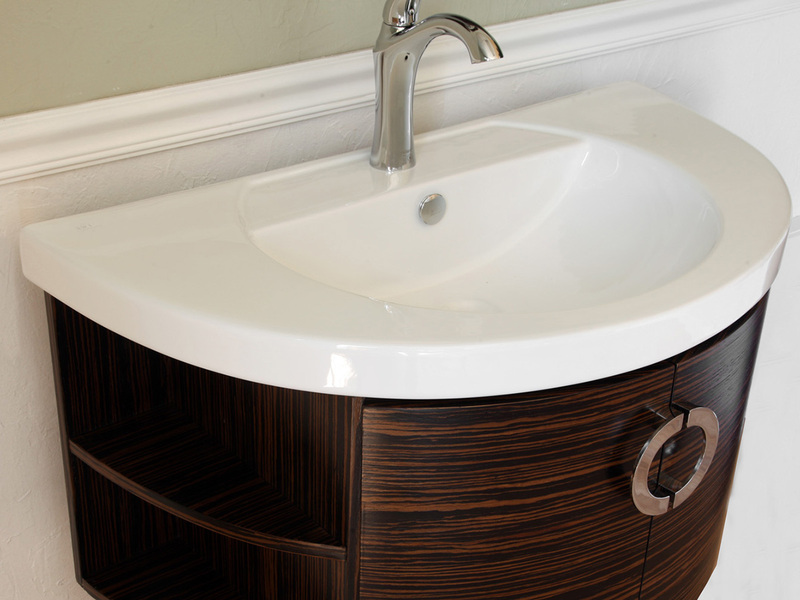 The integrated ceramic sink and counter space enhances the minimalist style of the vanity, and accentuates the zebra finish. 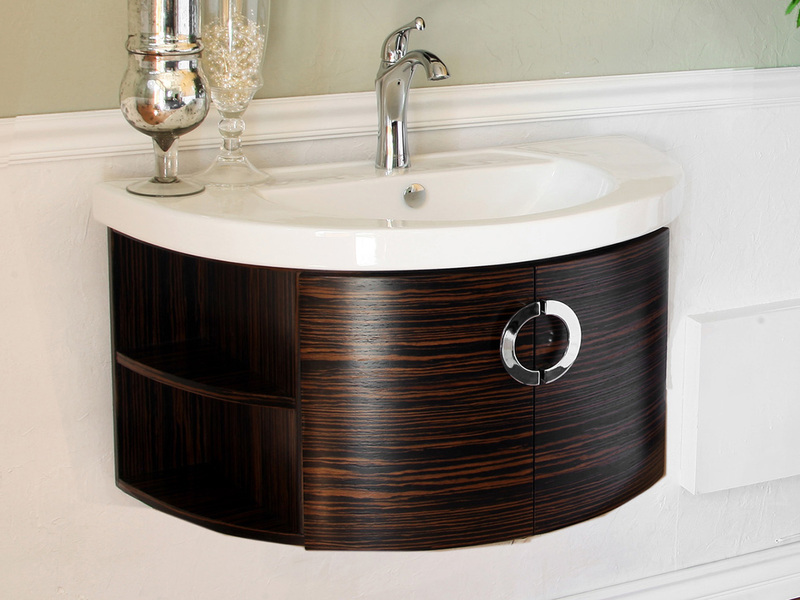 Its single cabinet is flanked by two open shelves on each side, providing lots of space for storing and displaying items in one small vanity. 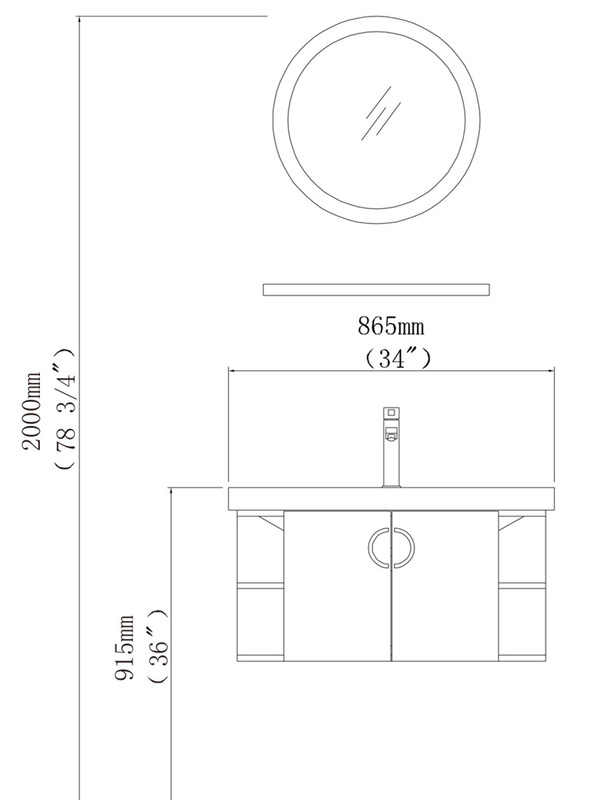 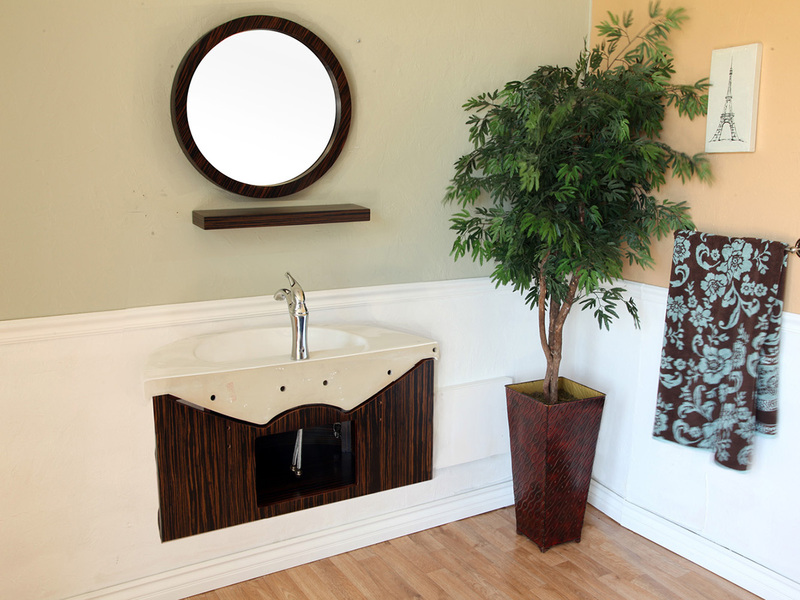 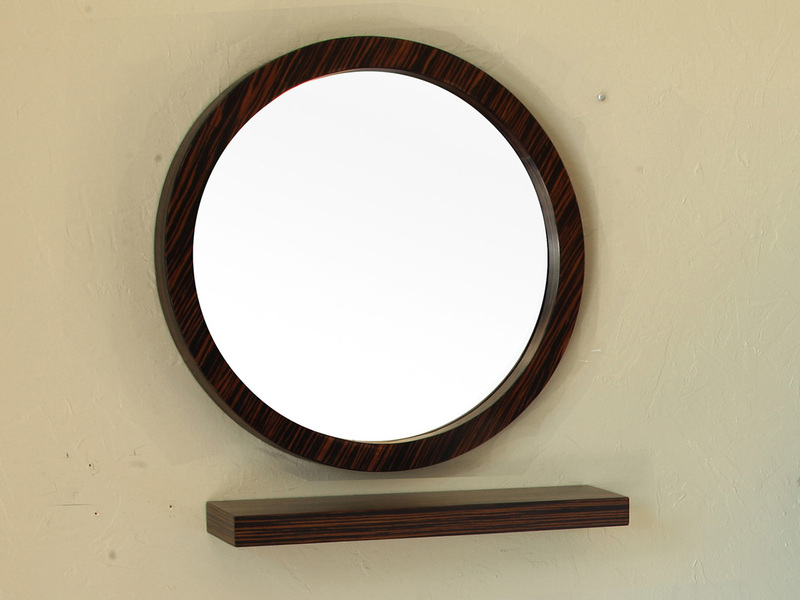 The vanity also has an optional matching mirror and shelf, expanding the functionality and style of the vanity.